Good afternoon, I’ve been reading the forum for a while and recently signed up. I’m really just getting into bullseye and have not competed in a sanction match yet. I currently have a custom Caspian wad gun and a relined Nelson conversion with iron sights on a dedicated frame. I’m waiting on another Caspian with frame mount aimpoint which will be delivered next spring/summer. 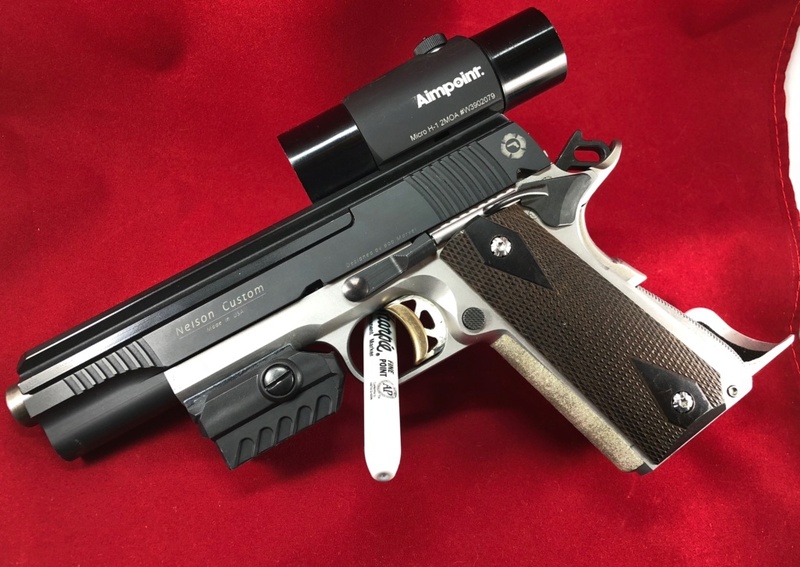 I’m interested in purchasing another Nelson conversion to run an optic and wanted to get feedback in how the weaver style Nelson conversion works with the aimpoint micro or if a framemount would be better, since it would be more like the .45. Has anyone had issues with mounting an optic on the weaver style Nelson conversion? The weaver rail they offer has no cross slots. I don't know anyone with the weaver rail only Nelson's standard optic rail which is closer to a picatinny style. 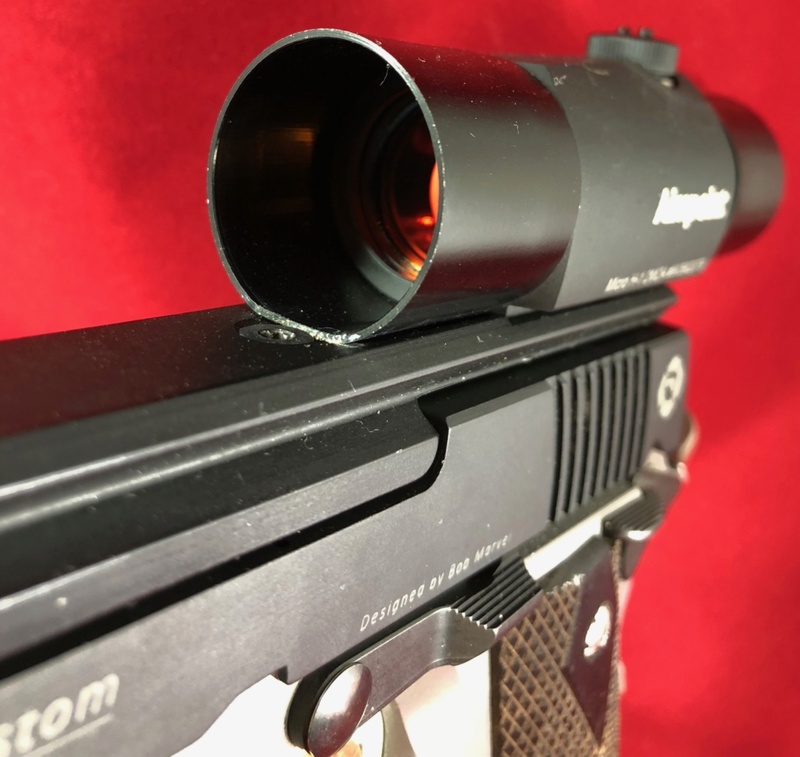 For the Nelson I would only consider rail mount because the rail is actually screwed to the barrel and the slide/frame fit is sloppy. I have a Kodiak base on my H1 but many use the Aimpoint base for the 22. Also, I’m trying to decide between the 2moa and 4 moa size dots and can’t decide which would serve me better. bsp85 wrote: Also, I’m trying to decide between the 2moa and 4 moa size dots and can’t decide which would serve me better. That is a personal preference, I started out with a Matchdot II which allowed me to try 2-8 MOA, I settled on 2MOA but there are many that prefer 4, 6 or even 8. FYI, I don't think the H1 is offered in 4 MOA anymore but I think the H2 is still available in 4 MOA. This might help - or not, 2 surveys 2 different results. Thanks, i’ll check out the thread. I prefer the bigger dots. 4 moa is ok but bigger is better. I hope I can answer that sometime soon. 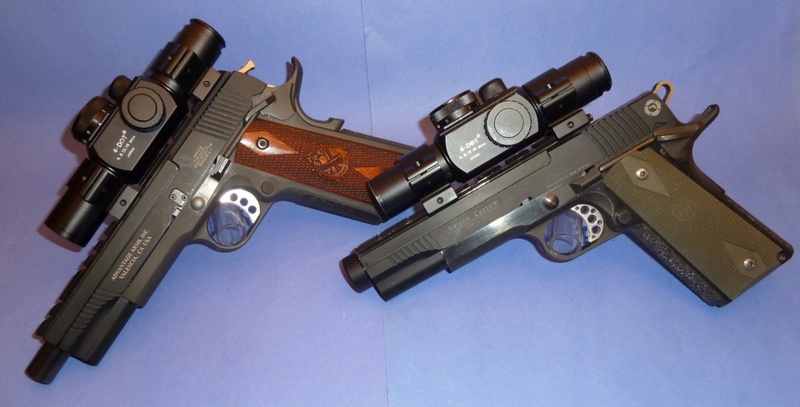 I have a Nelson with iron sights and one ordered with the weaver top. I have an Aimpoint Micro on my workbench waiting for it to arrive. Please let us know how it works out when you get to test it out. Are they still running 8-10 weeks on delivery? Mounted directly to a steel rail for a Nelson. Screws in from the bottom of the rail, which is accessible when the moving part of the slide is removed. bsp85 wrote: Please let us know how it works out when you get to test it out. Are they still running 8-10 weeks on delivery? I ordered mine on 05/21/18. They are running further behind since they were at Perry and out of the shop for most of August. Hoping it ships pretty soon as I have right hand surgery next month and will be only able to shoot left handed for four to six months. Ouch! Good luck with the hand surgery. Hopefully you’ll have a full recovery. Nice setup FPK. I’ll have to break my conversion down and look at it further. All the sunshade tubes are press for correct? Anyway to thread them? bsp85 wrote: Nice setup FPK. I’ll have to break my conversion down and look at it further. All the sunshade tubes are press for correct? Anyway to thread them? These are press on, not sure where from. John Shue sells ones that have a short press on piece that then allows the longer shades to thread on. He will install them for you if you send him the aimpoint H-1 for free.